Massanutten Resort is a year-round resort with skiing, golf and an indoor water park, located about 2 hours from the Washington, DC area in Harrisonburg, Virginia. 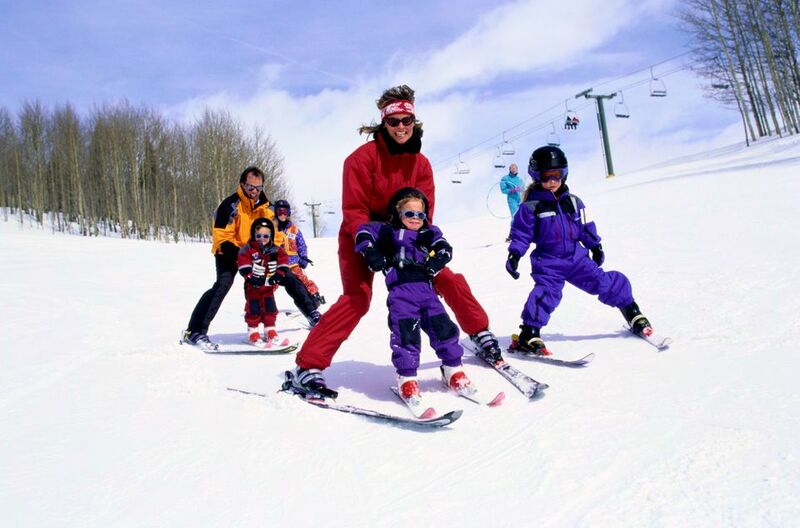 Whether you enjoy skiing, golfing, swimming, hiking or just relaxing, the resort has lots of options for the whole family. The ski slopes are lit for night skiing. Massanutten is a time-share resort with hotel accommodations, condominiums and single family homes available to rent by non-owners. The resort offers a wide range of dining and entertainment options. The indoor water park is a popular attraction for all ages with water cannons, body slides, a surfing pipeline and hot springs. There is also a health and wellness spa offering massage, skin care and body treatments, healthy living classes and other spa services. Warm weather activities include zip lines, adventure courses, rock climbing, tubing, golf, swimming pools, tennis, fishing, horseback riding, hiking, mountain biking, kayaking and more. Directions from Washington DC: Take I-495 to I-66 West. Take Exit 13 to VA-55 West, US-340S and E Point Road. The water park is open year round and includes 8 indoor water slides, an Adventure River, surf waves, an outdoor wave pool and activity pool, plus three on-site restaurants and a state-of-the-art gaming area. The water park is especially busy on holiday weekends. Resort activities include comedy and magic shows, Murder Mystery Dinner Theatre, specialty beer and wine dinners, movie night, trivia night, arts and crafts classes, Kids Club, live entertainment and karaoke. Fareways Restaurant: Features farm-to-table fine dining in a casual, resort atmosphere. Virginia BBQ & Pizza Co: Features a real taste of the Blue Ridge serving wood-smoked chicken, pork, ribs, pizza, and southern sides. Base Camp Umbrella Bar: Located on the ski lodge deck, this indoor-outdoor eatery is the perfect location to enjoy a cold beer on tap or a post-hike meal. Hideaway Lounge: Located at the WaterPark, Hideaway Lounge overlooks the Indoor WaterPark floor and is adjacent to Diamond Jim’s Arcade. The resort offers 1–4 bedroom condos as well as standard hotel rooms. Read Traveler Reviews and Compare Rates on TripAdvisor.